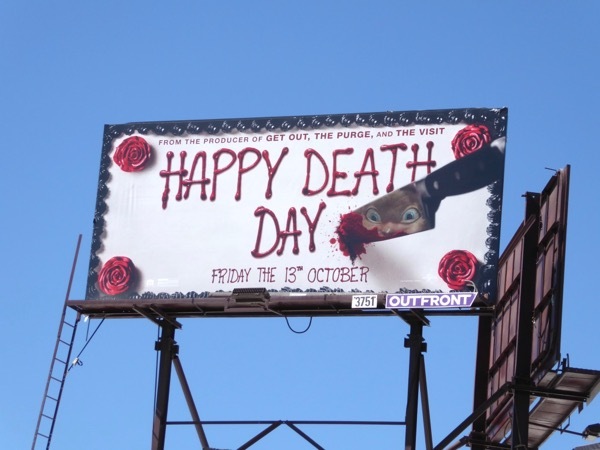 Let's face it, it wouldn't be Friday 13th without a good horror movie to provide some scares at the cinema. 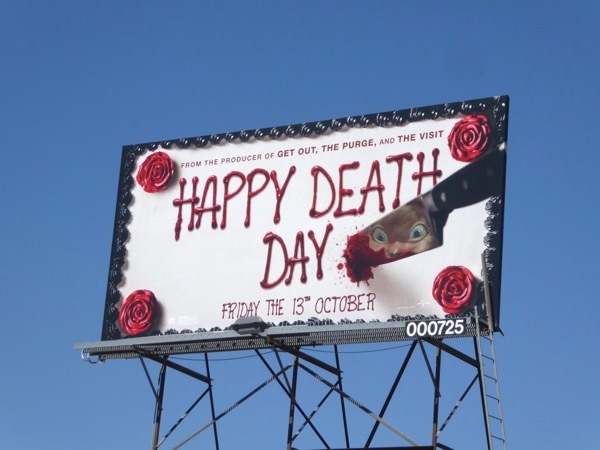 This year Happy Death Day wants you to have your cake and eat it too with a horror movie inspired by Groundhog Day, as Jessica Rothe stars as a young college student who finds herself reliving her birthday over and over, which always ends in her murder. 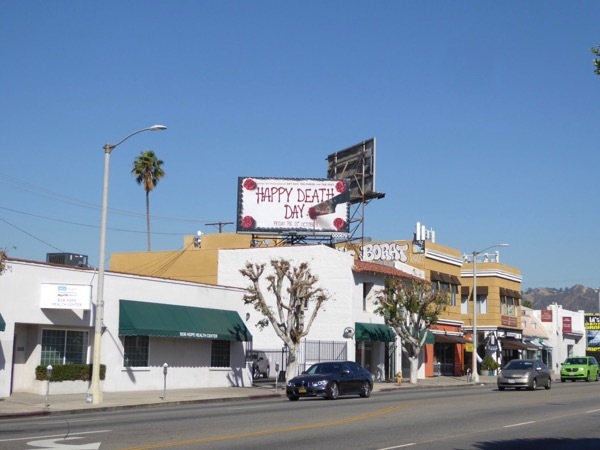 Death after death, she must endure the terrifying details again and again in order to discover the identity of her killer and stop them before she dies horrifically once more. 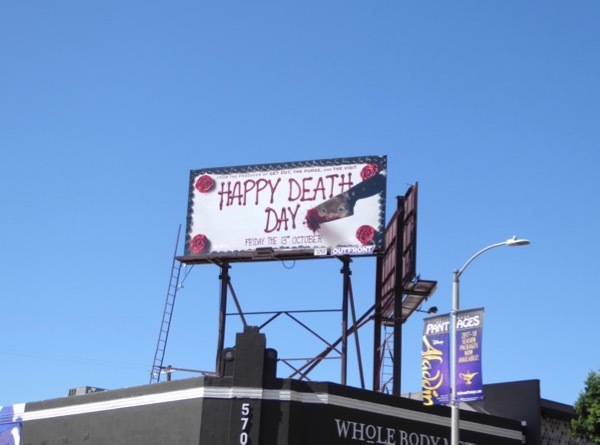 These fantastic birthday cake-themed billboards, with their killer knife reflection, were snapped along Pico Boulevard, La Brea Avenue and Melrose Avenue from September 21 to September 24, 2017. 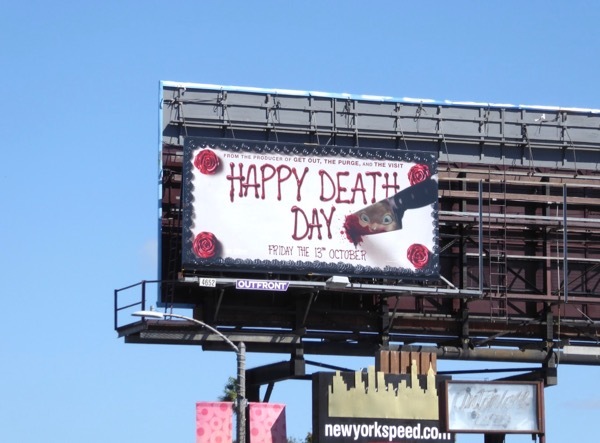 For more Friday 13th frights, be sure to check out all these other horror-themed billboards from recent years. 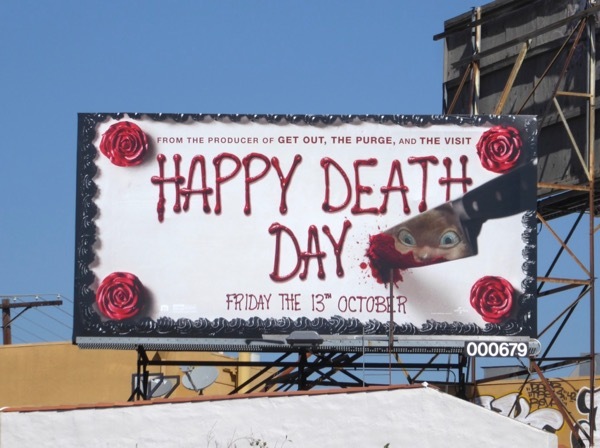 Anyone else feel like a slice of cake instead of popcorn to watch this horror flick?